The past few days have been a time of anguish and incomprehension. 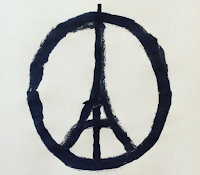 On Friday I was in a state of shock taking in the overwhelming brutality of the the attacks in Paris. My heart goes out to the many, many families whose loved ones were killed or seriously injured. 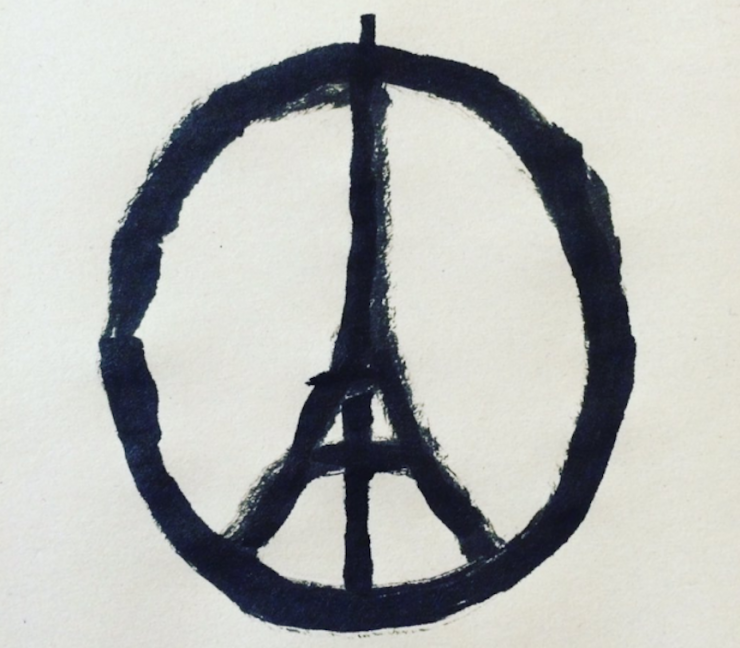 The morning after the Paris attacks, I didn't want to rush out and do anything. But I had committed to attend a training sponsored by RefugeeOne about what is involved in supporting refugees who come to the United States. And so I pushed myself there. It gave me solace to be with 170 other people of faith representing 50 congregations, who are committed to helping refugees seeking a new life in America. We were Christian, Jewish, Muslim, and Unitarian Universalist. We could express our shared grief--and our shared commitment to recognize the humanity of so many people who are pushed out of their homes by similar brutality. The refugees that RefugeeOne resettles in the Chicago, many of whom are Muslims, have fled their homelands where so many of their friends, neighbors, and often even relatives have been killed. They leave because staying is untenable. But as we have witnessed over and over, when refugees seek a better life, there are tremendous perils on the journey. Many have died needlessly. Many are detained in refugee camps and wait and wait and wait. Sometimes for decades. When those who finally reach the United States, their hope is to create safe, productive lives. However, what awaits them is an extensive vetting process that narrows the vast numbers of those who need help into a mere trickle. Although many individuals soon become contributing members of society, many more face overwhelming struggles because they don’t have the skills to offer because they are poor or they have spent much of their lives detained by political or military events over which they have had no control. Over 50 million refugees worldwide are currently seeking asylum and a chance at a new life. They come from brutally violent places all over the world. Syria has been in the news, but the number of Syrians coming to our country is very, very low. There are many refugees coming from Iraq, from Africa--especially Congo and Somalia, and out of Myanmar (formerly Burma) and other south Asian countries. The numbers that reach the United States is very low, and I pray President Obama will provide resources to support these people who know profound sorrow and suffering. And we can locally. Between the church teams, volunteers and the good social services already in place on the northside of Chicago, RefugeeOne and other resettlement agencies are making a tremendous difference in the lives of these desperate people. When a refugee family arrives, they have literally nothing. RefugeeOne provides the structure for congregations to offer direct support that helps assimilate refugees into our community. It begins with showing up at the airport to welcome the family to Chicago. Volunteers make weekly visits to provide comfort and support. There are fund drives for clothing and household goods. Mentors help refugees learn a new language. There are classes and social services to teach families how to live in a big city, how to navigate the many demands of modern life, and how to survive in this country that is so unfamiliar to them. Some congregation members offer to sponsor a family. The cost to provide housing and furniture is about $8,000 a year. I am deeply thankful that my congregation will host at least one family and I am hopeful that we can host two or three more by spring. In the process of supporting a refugee family, I am confident that we will become the ones whose hearts are opened, whose lives are enriched. Actively and sincerely caring for people who know profound sorrow and suffering is at the heart of all spiritual teachings. Taking action to help the thousands of frightened, hopeful and incredibly brave human beings who seek refuge in this country is how we express the moral teachings that make up the best of all religions. It is natural to experience fear in the wake of the attacks on Paris, in Lebanon, and wherever violence erupts, including in the city of Chicago. In my congregation, we read the names of those killed by violence in the city of Chicago. At times it is demoralizing. But if read the names of people killed by violence in wider circles, we'd be paralyzed. Fortunately there is another way. Fear spreads when we remain isolated from others. Fear threatens to become our society's plague. Fortunately there is another way: love through courage. Love emerges when we come face to face with others, when we help others, when we show up in the worst of times despite so many doubts--to help those most gravely in need. Love enlarges us. Love moves us through our fear. The greater our love as a wider community, the less fear will isolate us and destroy us.